Why Do Onions Affect Your Breath? 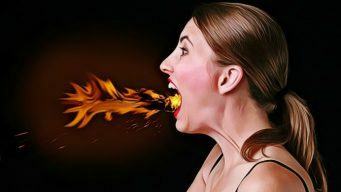 Anyone can get bad breath sometimes because of something like foods or other underlying health conditions. Bad breath is also called halitosis. Among many foods causing bad breath, onions and garlic are considered the worst culinary offenders, especially when they are eaten raw. In fact, onions are ranked in the allium family that contains many of the same sulfur compounds making it a distinctive flavor. However, they are really similar composition in foods, so they can make the foods more tasteful but annoying as well. Therefore, it is necessary to find out vital ways on how to get rid of onion breath. In this article, VKool.com will show you top 19 easy ways on how to get rid of onion breath. The writing is collected from reliable sources. However, it is not intended to give medical advice and it is solely for the informational purpose. Keep reading this writing to learn more! Why Do Onions Affect Your Breath So Much? When eating onions can cause bad breath, the best way how to remove it may be stopping consuming them. But it sounds like difficult to remove them from daily recipes, so some ways and natural remedies are revealed to deal with this distinct onion breath. As an advice, mouthwash is used after brushing and flossing, which may give the best effect. Additionally, you should pay attention to the instructions of your mouthwash to avoid overusing and mouth irritation. Start scraping your tongue back then gently scrape forward, which helps push the white residue to the front of your mouth. Apply this daily after each meal containing onions or garlic as well. As you know, essential oils are always recommended for many health and beauty benefits and they are also used for improving the breath. It is the reason why essential oils are added to mouthwashes that base on alcohol. Not only do essential oils refresh your breath but they also contain antibacterial properties fighting against bacteria coating under the plague and tongue. If possible, you can make some mouthwash with essential oils on your own such as coconut, sweet almond, or olive oil. More clearly, there are some essential oils that have been indicated to improve the bad breath including peppermint, myrrh, rosemary, and eucalyptol oil. Stir 1 to 2 tablespoons of apple cider vinegar in a glass of water, drink the solution, and drink before eating onions. By this way, you will flush their byproducts through the system more effectively and aid your digestion. Swish some apple cider vinegar in your mouth for 10- 15 seconds after eating. Make a mouthwash with ¼ cup of apple cider vinegar, 1 tablespoon of honey, and 1 tablespoon of tincture then use it as to get rid of your onion breath when necessary. Drinking water may be the simplest way on how to get rid of onion breath you should know. In fact, drinking enough water will help stimulate the production of saliva in the mouth, which certainly removes bacteria coating in your mouth causing bad breath. As an advice, you can drink water during and after the meals with onions or garlic and drink water anytime each day as well. Drink 1 glass of milk before a meal with onions. Drink green tea several times a day to get rid of onion breath completely.